Welcome to The Lampshade Company, one of the UK’s leading lighting suppliers and manufacturers of made to order lamp shades in the UK. Our studio is situated in Ardleigh on the edge of Constable Country in Essex, just 3 miles away from Dedham. Award winning business – in 2015 we won the best bespoke lighting product accolade in the global product and service awards. We are proud to have won small business of the year at the North Essex business awards 2016, and shortly after was selected as one of Small Business Saturday’s 100 UK businesses of 2016. In 2017 we were proud to be named one of the 50 most innovative companies in Essex and were awarded the Innovation Fifty Essex award by the Essex Innovation Programme and Anglia Ruskin University, and shortly after followed the Bronze Award for Small Business website at the Essex Digital Awards 2017. We are delighted to have most recently been awarded Best of Houzz 2018 for customer service. As a leading designer and supplier of luxurious made to order and bespoke lamp shades, our team of experts are able to create the perfect addition to any interior colour scheme. 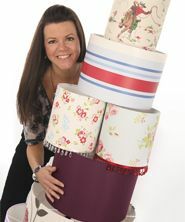 We are an award winning independent British business, offering our customers made to order lamp shades. 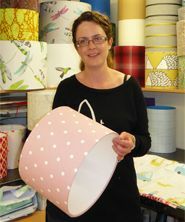 Independent – at The Lampshade Company we design, create and carefully manufacture all our lamp shades in-house. Our M.D. is personally involved with and oversees every aspect of production in our very own UK workshop. Rigorous quality control – our expert technicians believe that each and every product we produce should be of the highest quality. This is why we have a two-tier quality control system in place. Made in Britain Campaign – we are proud to be a member of the Made in Britain Campaign for our made to order lamp shades, which supports and promotes British manufacturing, enabling buyers and consumers at home and abroad to identify British-made products. 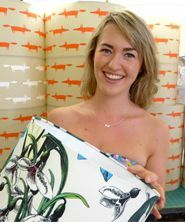 Bespoke Service – With our bespoke lampshade service you can send in your own material and we will make you a completely unique lamp shade to match your interior designs perfectly. 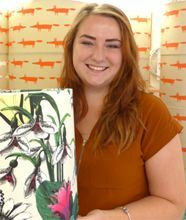 Digitally printed lamp shades – looking for something unique and personal? we now offer digitally printed lamp shades which can include an image or even a logo. Wide selection of sizes – we understand some of our clients need a large selection of sizes, that’s why we have over 34 standard size options available in addition to our bespoke service. Luxurious metallic linings – sophisticated and luxurious metallic linings available on all our lamp shades. Colours include gold, silver, bronze, copper and champagne. High quality finish – every lamp shade is made to order and hand finished to ensure a high quality product, creating a stylish and durable design. Wide selection of contract and designer fabrics – we have accounts with a wide range of contract and designer fabric houses including: Panaz, iLiv, Liberty of London, Harlequin, Sanderson, Scion, Romo, Designers Guild and Osborne and Little. Conforms to British Standards – health and safety is very important to us, which is why all the lampshades we manufacture have been tested by The Lighting Industry Association and have passed the glow wire test to conform to British Standards for luminaires BS EN 60598-1:2015. Test reports are available on request. Fire Retardant (FR) fabrics – all our lamp shades have passed the glow wire tests to conform to British Standards for luminaires BS EN 60598-1:2015, however; we also have a large range of FR fabrics available to our trade customers to ensure they can enjoy glamorously stylish products in all areas of their project. Here at The Lampshade Company we understand that beautiful lighting can undoubtedly add the finishing touch to any interior. As a leading UK lighting supplier our extensive lighting collection offers a variety of styles, colours and lighting effects. From kitchens and living rooms to bathrooms and hallways, carefully selected lighting can complement a design and harmonise a room. Creating the mood you desire should be as easy as flicking the switch!